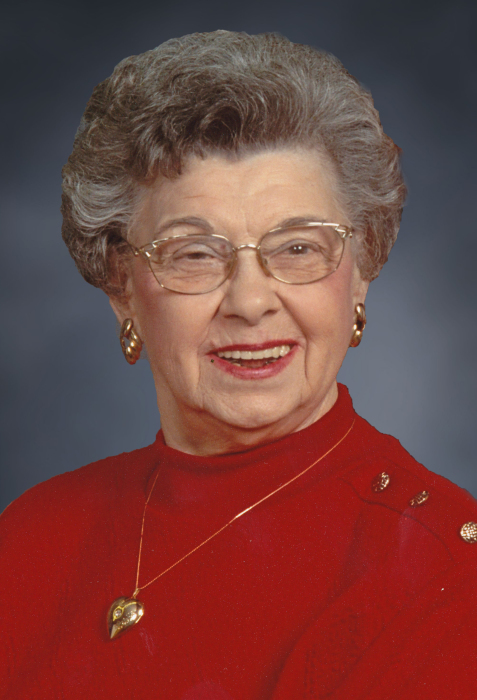 Virginia R. Bryk, age 95 of Carlyle, passed away at Liberty Village in Maryville on Thursday, December 6, 2018. Mrs. Bryk was born on July 4, 1923, in Irishtown Township, a daughter of Menard, Sr. and Ida (Harpstrite) Luebbers. She married Emil Bryk on June 14, 1947, at St. Teresa’s Church in Marydale. He preceded her in death on June 18, 2010. Mrs. Bryk is survived by a daughter – Kathleen Bryan and husband Robert of Edwardsville; 3 grandchildren – LeAnn Harris and husband Robert, Jr., Kristina Bryan, and Bradley Bryan and wife Dana; her great grandchildren – Robert “Trè” Harris, III, Jordan Harris, Sydney Harris, Kylie Bryan, Brooklyn Bryan, and Mia Bryan; a great great grandson – Robert “Beaux” Harris, IV; 2 sisters –Marie Mitchell of Sparta and Ida Mae Guthrie and husband Dave of Centralia; a brother – Irwin “Lou” Luebbers of Breese; and 3 sisters-in-law – Marian Luebbers and Lillian Luebbers of Carlyle and Jane Luebbers of Germantown. She was preceded in death by her parents - Menard, Sr. and Ida Luebbers; sisters – Loretta Diffenauer and husband Joe, Eugenia “Ganie” Meyer and husband Vince, and Dorothy Diffenauer and husband Harold; brothers – Anthony Luebbers and his wives Geraldine and Esther, Earl Luebbers, Arthur Luebbers, Vincent Luebbers and wife Aida, Menard, Jr. and wife Marie, Adrian Luebbers and wife Myrtle, Alfred Luebbers and wife Pat, Theodore Luebbers and wife Helen, and Paul Luebbers; and her in-laws– Alfred “Bud” Mitchell, Gertrude “Trudy” Luebbers, Irene Marzek and husband Steve, and John Bryk and wife Mary. Mrs. Bryk was a member of St. Mary’s Church in Carlyle where she was active with St. Ann Sodality. Her favorite hobby was quilting, and she also enjoyed bowling, cooking, and entertaining. Virginia always looked forward to visits from her family, especially those from Chicago. She was very involved in her grandchildren and great grandchildren’s lives and enjoyed attending their events and games. A Mass of Christian Burial will be celebrated at 10:00 A.M. on Monday, December 10, 2018, at St. Mary’s Church in Carlyle with Fr. George Mauck, celebrant. Interment will follow at St. Mary’s Cemetery. Visitation will be held at Zieren Funeral Home on Sunday, December 9, 2018, from 1:00 - 4:00 P.M. and on Monday, December 10, 2018, from 8:00 – 9:30 A.M.
Memorial donations may be made to St. Mary’s Church in the form of Masses or to the charity of the donor’s choice and will be accepted at the funeral home.